As the plant establishes it grows in clumps and is ideal for screening or dividing areas. Supplied as 80-100cm tall plant in a 2 litre pot. 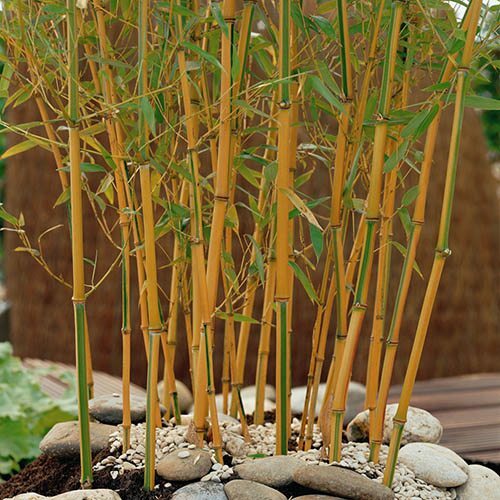 Phyllostachys aureosulcata Spectabilis (Yellow Bamboo) has long, slender golden yellow stems which form strange zig-zag patterns as they grow, providing a real interesting twist and instant impact! Not only that, but the stems have beautifully contrasting red highlights when grown in the sun.